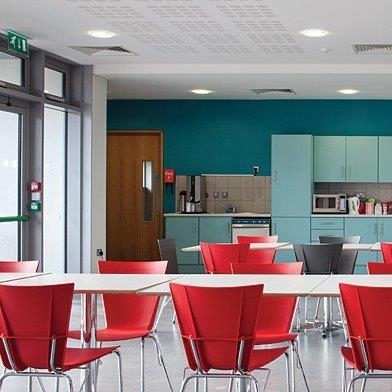 Design & Build contract won in a Government D&B Competition for decentralised government offices in Roscommon, a Design/ Build competition promoted by the OPW, to procure new offices for the Property Registration Authority, on a site close to the centre of Roscommon Town. 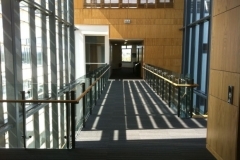 3 Storey Office Block specially designed for known tenant and specified to the very highest level of sustainability. 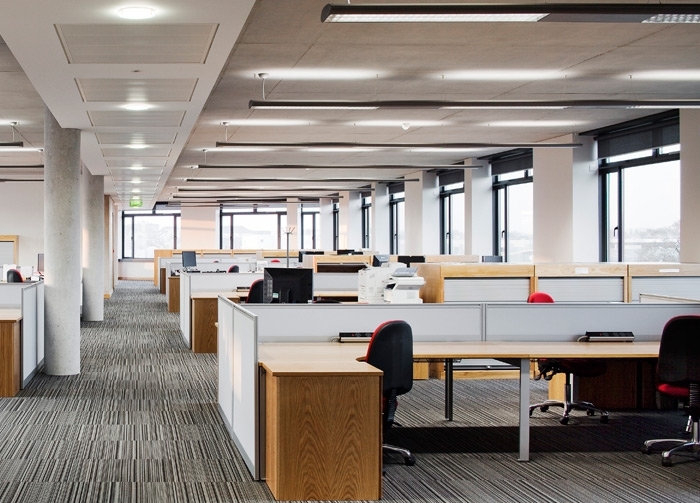 Office space is provided in two wings, set across the contours of the site, in a cranked plan, providing long, flexible floor plates to accommodate the Authority’s needs. 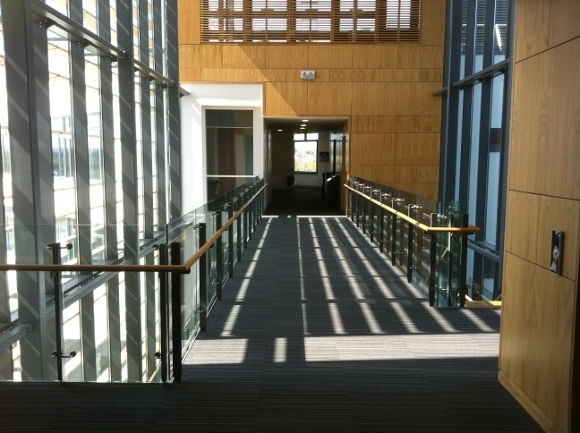 The office buildings are linked through a 3 storey atrium which reaches to all levels. 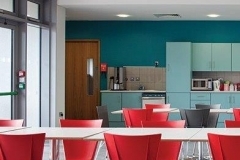 The building has been designed with natural ventilation to all offices. The building fabric is highly insulated and heating to office spaces is supplied from a wood pellet boiler. Heat recovery systems have been incorporated on the toilet ventilation system and solar panels deliver 70% of the buildings hot water needs. Grey water, collected on the roofs, is used for flushing of toilets. The intention of the landscape plan is to interfere as little as possible with the site, provide high level of appropriate amenity and allow existing ecosystem to re-establish itself to the greatest degree possible, working with existing contours and features of the site. A riverside park provides amenity for the town & office users. 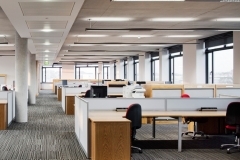 The building achieves BREEAM EPI Score of 9 with rating ‘excellent’. Project includes use of inclined standing seam zinc façade system in many areas and on some roof portions.